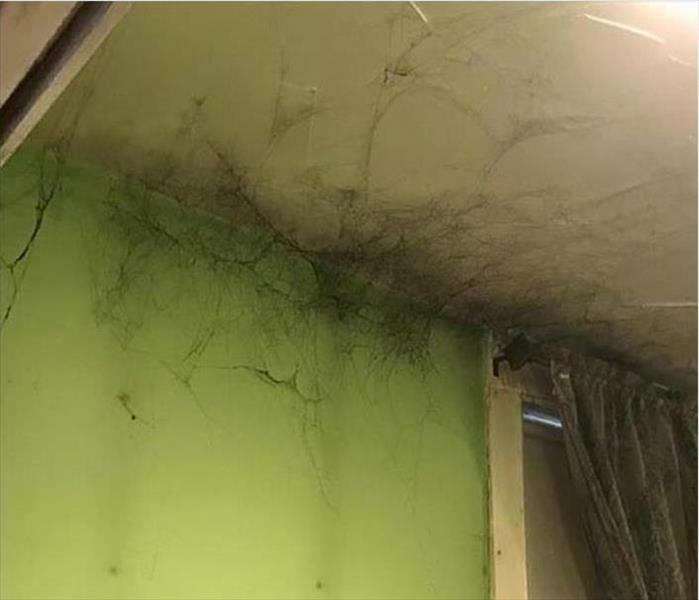 No, these are not spider webs but smoke tags, the result of a furnace "puff-back" in a Manhattan apartment. The electrically charged soot particles circulate to cooler corners and closets and form these web-like structures that must be carefully removed to prevent smearing and to exacerbate the smoke damage. 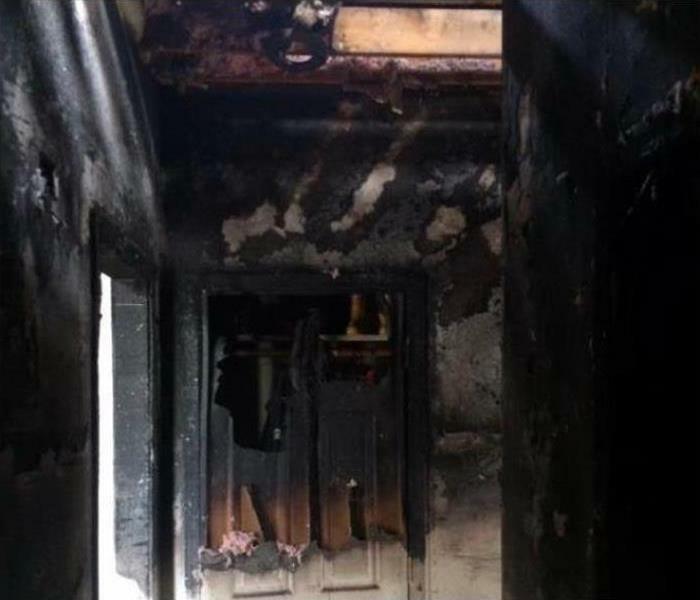 SERVPRO can help make this "Like it never even happened." 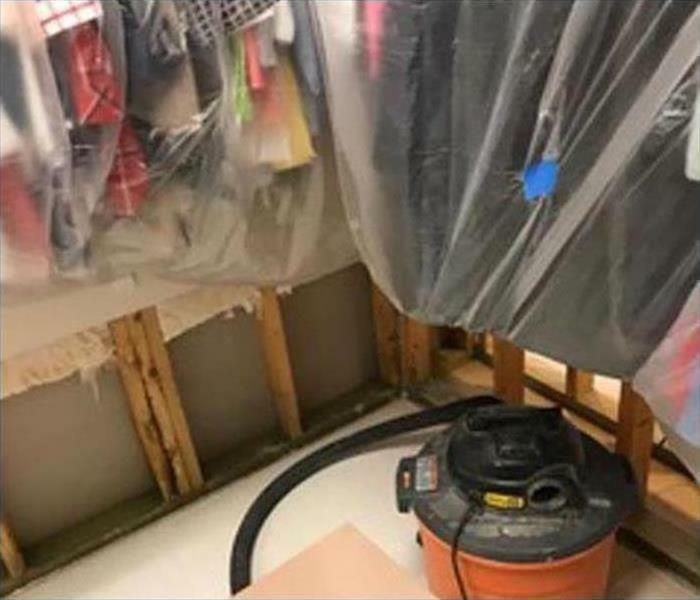 Water damage at this Manhattan apartment soaked the carpeting and drywall in the pictured closet. Upon discovery of the water leaking the owners sought out a professional water damage restoration company. 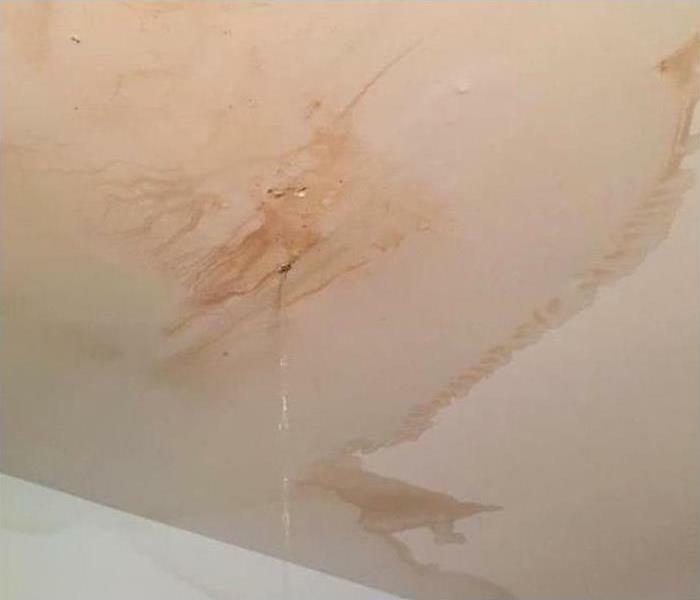 SERVPRO of Upper West Side provides service for this type of water damage on a 24/7 basis. Our industry certified technicians would cover the clothing in the closet before beginning the water cleanup activities. 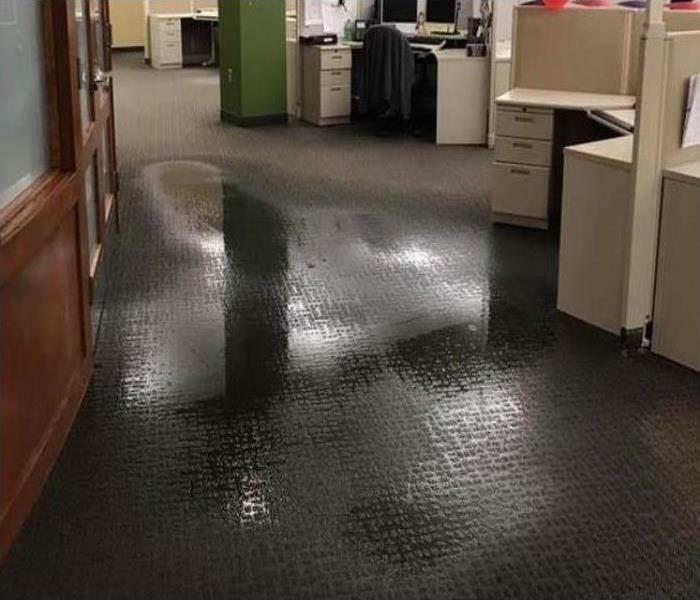 They would then locate the source of the water damage and facilitate repairs. The water would be suctioned up, and the affected area would be dried. Finally, any damaged and removed building materials would be replaced. Your commercial property in Manhattan can be restored to pre-damage condition. We're locally owned and operated, ready 24/7, and Faster to Any Size Disaster. SERVPRO of Upper West Side has the equipment, advanced training, and expertise to handle any size disaster. This unit in a Manhattan apartment suffered a leak that left some water to be removed. Our SERPVRO equipment is industry leading, and after removal of the spillage, we can restore the RH relative humidity to normal levels. Just the right amount, for a comfortable setting. 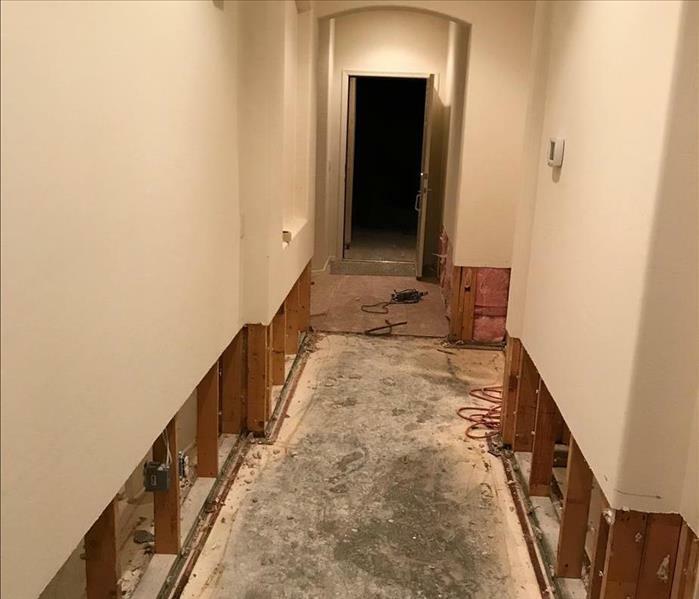 A lower level unit in Manhattan that suffers from contaminated floodwater damage requires a controlled demolition. 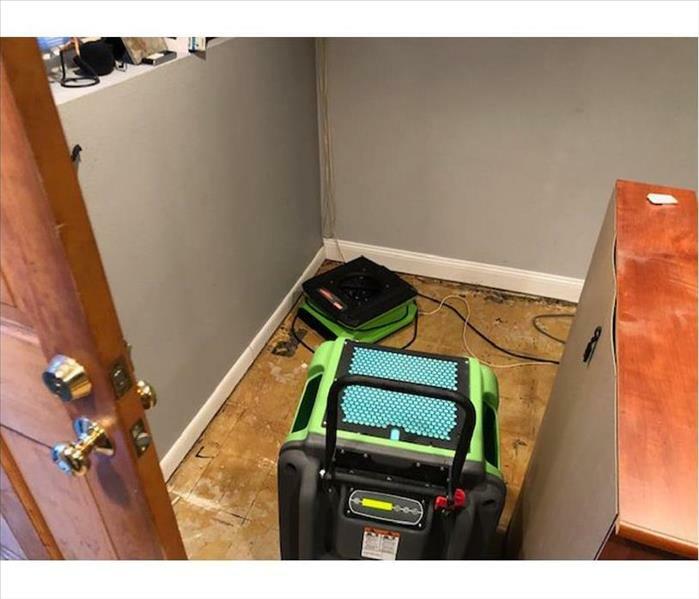 Trust the highly skilled and trained technicians from SERVPRO to minimize the mess and maximize the restoration, "Like it never even happened." We’re Faster to Any Size Disaster! If your Manhattan property experiences a fire, we are the crew to call. SERVPRO of Upper West Side has the training, state-of-the-art equipment, and fire damage experience to restore your Manhattan property to pre-damage condition.